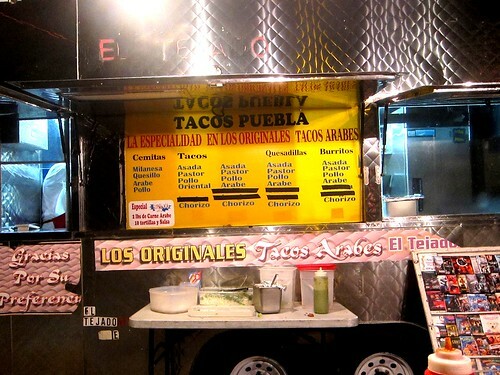 Tacos Puebla may serve the best tacos arabes in Los Angeles. I say they may, because I haven’t had many tacos arabe, and these are the best tacos arabe I’ve had. 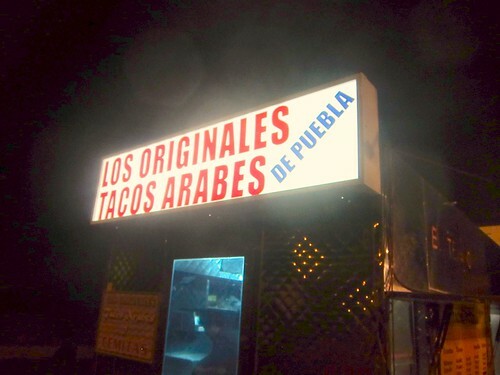 The tacos arabes come with beef instead of pork. 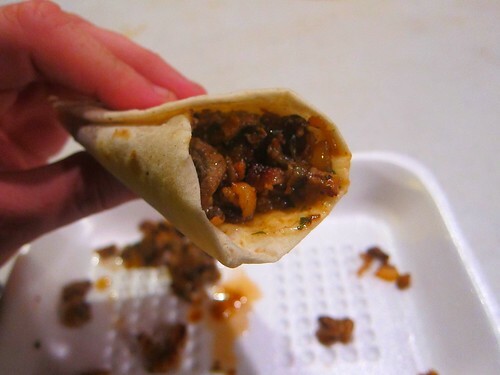 The beef is tender and mixed with onions and a spicy chile salsa. When you order they will ask if you want it spicy. The tacos are $3 each but well worth it. 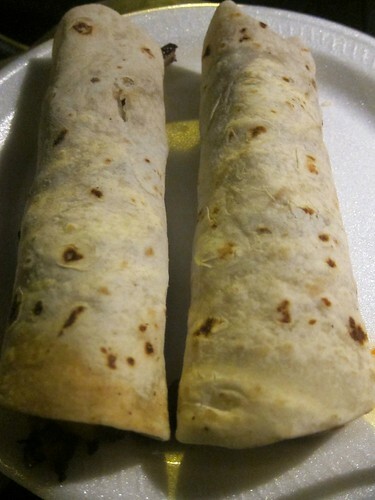 The tortillas are freshly made and the tacos have excellent flavor. Tacos Puebla parks not far from where Mariscos Jaliscos parks during the day. This stretch of E. Olympic Blvd is sometimes referred to as the taco mecca. During the day you’re more likely to find mariscos and cemita trucks. At night the taco tables come out with rotating al pastor spits. If you’re looking for a night of taco exploring you can’t go wrong with this stretch of Olympic.